Extravagance is making a comeback-both in terms of aesthetic design and use of space. While in recent years formal living and dining spaces have been denounced as stuffy seldom-used wastes of space, they are revived in 2016—minus the plastic furniture coverings. Formal living spaces of 2016 are special—but they’re meant to be used, to let you incorporate a touch of extravagance to home life. Families are starting to see the value in keeping the formal dining room for holidays, entertaining, weeknight homework and even casual family dinners. Not to mention they are a joy to design since you get to go a little more over the top than your regular spaces. Dedicating a room to one purpose makes the room special, and you can really add personality and punch to the design. Formal living spaces don’t necessarily need to have the flexibility of living spaces or the intense durability of the kitchen or family room. The use of luxurious high-quality upholsteries and decadent chandeliers make extravagance fit either a contemporary or modern style. 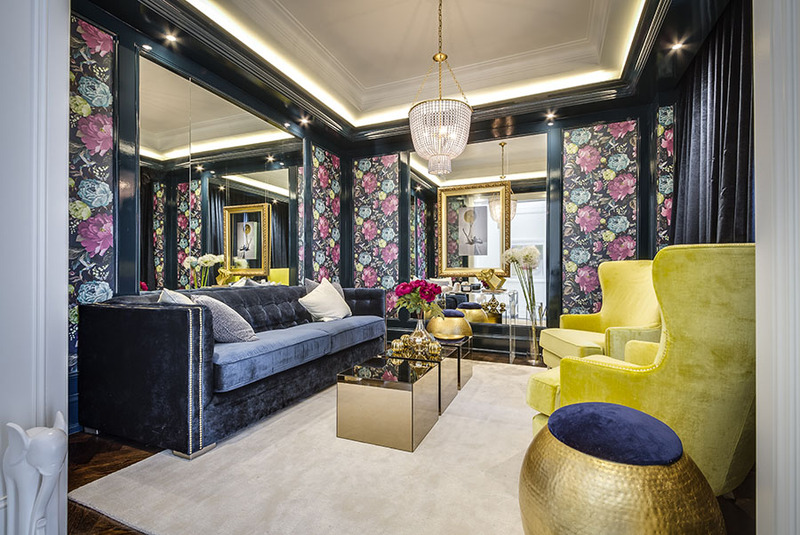 Design experts are divided when it comes to this year’s hot colour trends. With some gravitating toward soft pastels and simple shades of white like this elegantly-designed formal dining space by Mosaik Homes, others are pronouncing bold and rich, dark colors like navy, emerald green, black and ruby to make a big impact. Whether you choose classic neutrals or splashes of saturated, fun and bright colors as your base, you can add in some 2016 texture and pattern trends to the look. A clear favorite new trend of 2016 if the use of mixed metals in interiors. This has been a fad in jewelry and fashion for years and the result is hip & chic. Incorporating a multiplicity of finishes means that you can be comfortable about picking pieces that don’t ‘match’ in the usual sense. 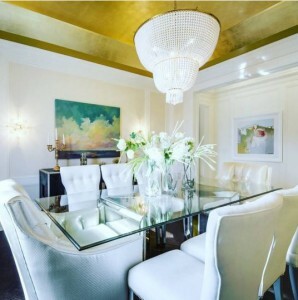 Modern chrome paired with brass and gold will take over the metallic look for 2016. 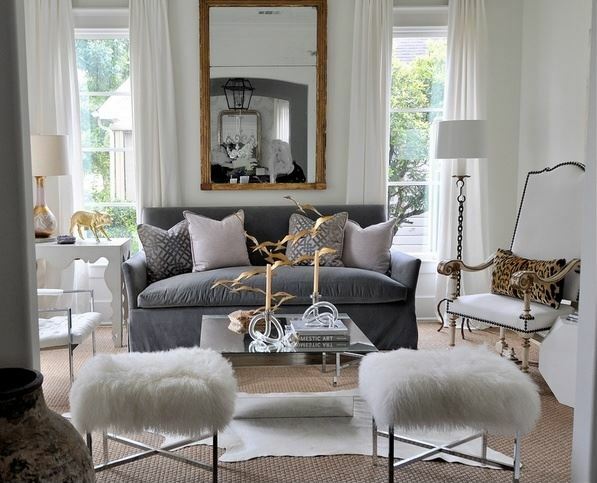 A glamorous and affluent look is achieved with golds and brass which warm up a space and reflect light . Choose metals on table surfaces, add brushed gold hardware, contemporary brass lighting or well-chosen pieces of accents such as a few gold metal trays around a room. Creating layer and depth with texture and varying finish colors adds character and some potential sparkle to your space—and you can never really go wrong. 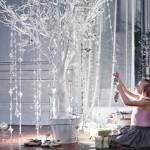 Bringing nature into the home will remain a strong trend in the coming years. We see this in the use of plants and living walls, to horticulture inspired fabrics. Floral patterns have been blooming everywhere into 2016 and this model living room by Mosaik Homes demonstrates the trend perfectly. Large scale prints and vintage inspired botanicals can be used in a variety of interior styles from classic to contemporary. The wallpaper trend is moving away from geometric shapes and digital printing designs toward bold leaf and flowery patterns. Think of it as pieces of art. Painted walls, although great in most spaces, don’t equate to the luxury and opulence achieved by a few rolls of wallpaper. For more design expertise enter a world of endless design possibilities at Mosaik Homes’ Design Studio. Guiding you through classic and on-trend style options, we make it easier for you to design the home you have always desired.